'Macey's Match' was held in memory of the daughter of beloved Gippsland footy figure, Bobbie Lee Blay. There’s a famous quote that sums up everything Bobbie Lee Blay believes in. 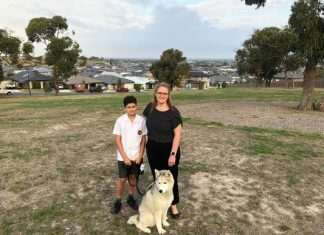 It’s through sport in the Gippsland community that Bobbie Lee has forged so many relationships that will last a lifetime, and it’s many of those same people throughout the region who have stood by her in recent weeks in her darkest hour. Earlier this year, Bobbie Lee’s beloved daughter Macey was killed in car crash on a quiet Gippsland road. She was just 27. 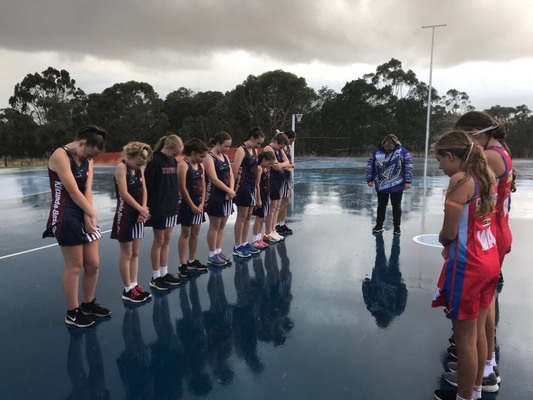 The impact of her loss has been felt far and wide, but through the pain – through the grief – a shining light emerged for Bobbie Lee and her family: the wider Gippsland footy community wrapping its arms around them right when they’ve needed it most. In the minutes prior to the Round 1 WGFNC clash between Kilcunda Bass and Phillip Island at Bass recently, the two sides came together – arm-in-arm – around Bobbie Lee. This was bigger than sport. In most clubs in the region, there are players, coaches, or support staff members who Bobbie Lee shares a lasting friendship with – and two of those players are Phillip Island leaders Jaymie Youle, and coach Beau Vernon. Youle spoke to members of both clubs, standing in the middle of the ground, prior to the first bounce of ’Macey’s Match’. “I have known Bobbie for a good 15 years, back to when she played mum to our Gippsland Power group, and have considered her a very dear friend ever since,” he said. “Almost two months ago Bobbie’s daughter Macey sadly passed away in a car accident. I knew Macey from when she was a little kid running around at our feet at training with her cheeky little smile – always wanting to have a kick with us. “She turned into a beautiful woman in every regard, who was also known to many people from both clubs. “So because of that today our two clubs come together in unity to throw our love and support behind Bob, who has supported so many people around local footy for over 20 years. This year, Bobbie Lee has taken on an expanded role in footy, and the community more generally. 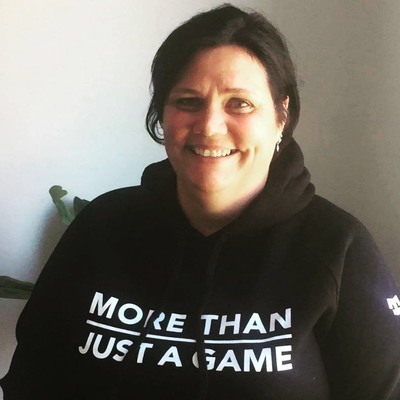 She has taken on a role with the WGFNC; another with the Western Bulldogs; and another – crucially – in the sphere of mental health and player welfare with ‘Outside The Locker Room’, an awareness, education, and outreach program for both adolescents and adults on critical community issues. Developed in partnership with mental health and youth services experts and delivered in local sporting clubs, schools and community groups via a series of interactive workshops over a 12-month period, it provides participants with information and resources on issues such as suicide, depression and anxiety, gambling, drug and alcohol education, inclusion and respect, and social media and cyber bullying. It fits, hand in glove, with Bobbie Lee’s nurturing spirit. She reflected recently about just how tough her start to 2019 has been. “It’s been hard – terrible,” she said. “I wouldn’t wish it upon my own worst enemy, really. “I wouldn’t want anyone to go through what I’ve gone through, but at the end of the day I’m not the only one who’s suffering and going through it. I think you have to consciously make a choice to try and move forward. “A lot of people have no words for what’s happened, so they have to show how they’re feeling in one way or another. I think a lot of the time people’s actions are very powerful. It can be just a look, or a hug, and the other week before the Phillip Island game was a great symbol of how people are feeling. “Everything I’ve done and that I’ve been through has helped me to move forward in the past few weeks and I totally own that. “I looked around the circle before the game against the Island and I just couldn’t have wanted any more from the day. It’s the best memory – it was just perfect. “I had to give back to Macey – it was my way to give back after all my footy involvement. “I couldn’t have asked for more from the day, and I wouldn’t have wanted more. “It’s not closure, but it was a reinforcement of who’s there for me. “I think the three of us – Jaymie, Beau, and myself – were able to say that it doesn’t matter who you are or where you come from. In our community, people will be there for you in your time of need. “Footy is family – bringing people together, and playing a game that is genuinely community-based. “With events like last weekend’s, we can stand together as one. It doesn’t matter what jumper you’re wearing or your background or culture. It’s irrelevant on days like that.